Oscar Tomico is head of the Design Engineering Bachelor programme at ELISAVA Design and Engineering school, and Assistant Professor of Industrial Design, Eindhoven University of Technology, working on soft interactions for the Wearable Senses Lab. Current projects focus on the textile industry and involve stakeholders during the design process to create ultra-personalized smart textile services in the form of soft wearables. He is involved in research projects like ArcInTexETN (2015), CLICKNL Crafting Wearables (2013), CRISP Smart Textile Services (2011). He has been a guest researcher and lecturer at Textile and design lab AUT (NZ), TaiwanTech (Taiwan), Swedish School of Textiles (Sweden), IAAC (Spain), and Aalto (Finland). 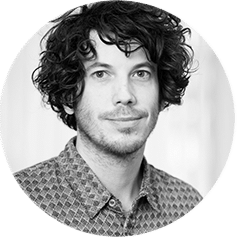 He co-organized events like the Waag Careful Designs and Hypercrafting Fashion events (Amsterdam), Baltan Open Lab: Wearable Senses workshops (Eindhoven), Crafting Wearables (Arnhem) and DHUB Smart services, smart production, smart textiles (Barcelona). He curated exhibitions like “Systems Design – Eindhoven School” (DHUB, Barcelona), and “Smart Textiles – Wearable Services” (TextielMuseum, Tilburg).